Bodrum is situated on the northern shores of Turkey’s beautiful Aegean coast. This on-trend town offers sublime views, trendy bars and an excellent variety of restaurants. In fact, Bodrum is often compared to St Tropez and is quite the place to see and be seen on the Turkish coast. 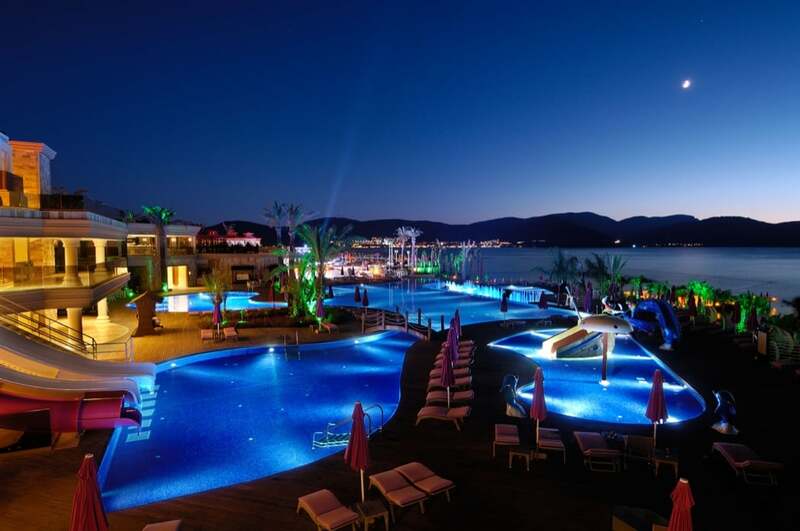 Travellers and tourists flock to Bodrum for its beaches, luxury hotels and vibrant nightlife. But this seaside resort retains a historic elegance, when you escape the summer crowds. Head down a cobbled and whitewashed backstreet and you will be transported to a time gone by. For a touch of glamour, stroll to the glittering marina. For culture vultures, the town is looked over by an ancient castle and ruins which are well worth exploring. 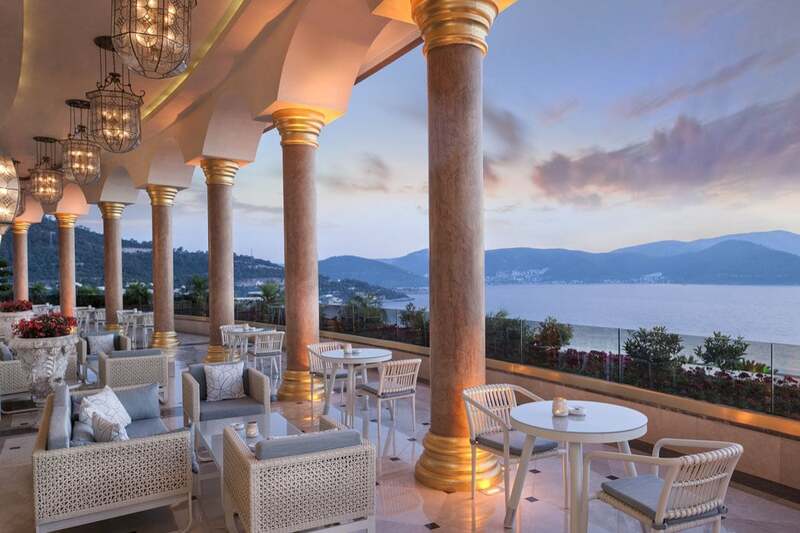 Around Bodrum, there are a number of dreamy luxury resorts and hotels set on private beaches, offering all the benefits of Bodrum, just a short drive away, whilst being nestled on serene and private hillsides. These resorts offer an ultra luxury getaway and here are our top hotel picks. For a taste of style and opulence reminiscent of a glamorous old-school Hollywood movie, Paramount Hotels & Resorts offer a wonderfully indulgent holiday experience. Their first hotel, The Bodrum, cascades down the side of the hill like rice paddies in Thailand. The resort lies on an exclusive beach on the coast of Bodrum in one of the most spectacular bays of the peninsula in Zeytinlikahve Mevkii. 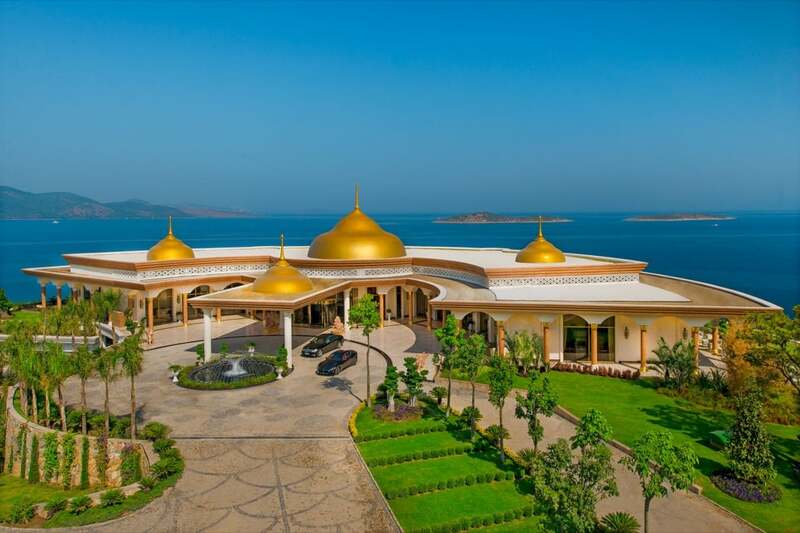 Covering an impressive 110,000 square metres, the breathtaking design means the resort wraps around the coast allowing the sea views to be glimpsed from just about everywhere. The facilities list is as impressive as you would expect; you can look forward to a private Turkish Hammam, distinctive culinary experiences, lounges and bars with stunning views (pictured above), high-end retail boutiques, a Kids Studio Club as well as the Pause wellness and fitness centre with 12 treatment rooms, a water sports centre and more than 70 resort and private pools! Book a suite with a private pool and you will never want to leave. Second in our list of luxury hotels is the boutique Avantgarde Hotel Yalikavak, just 45 minutes from the airport and 25 minutes from the Bodrum. 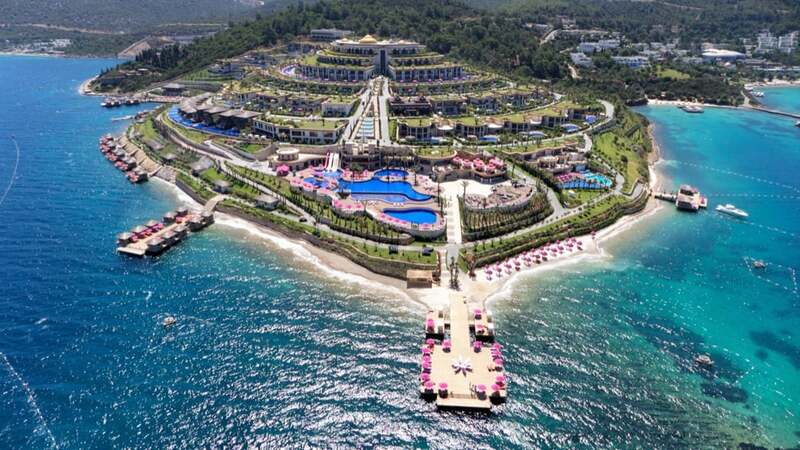 The hotel is also just a 5 minute speed boat trip across the bay from Bodrum Marina where you will find all the happening bars and restaurants. Because the hotel is located away from the centre, it is the perfect escape, where you can enjoy peace and quiet and your own private beach. The feel of this hotel is modern luxury, with a youthful and funky feel. The lobby is beautiful, the rooms are spacious and modern and the beach and pool are a super place to bathe to some rocking club tunes. 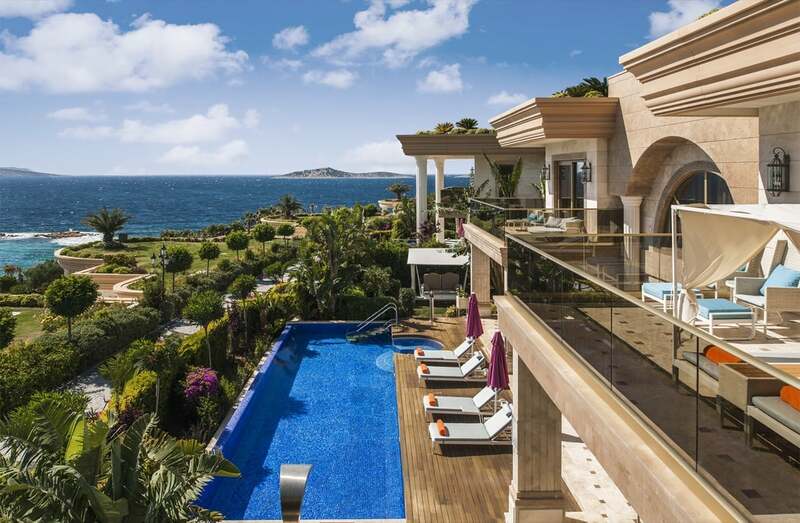 Our final choice is the Mandarin Oriental, Bodrum. 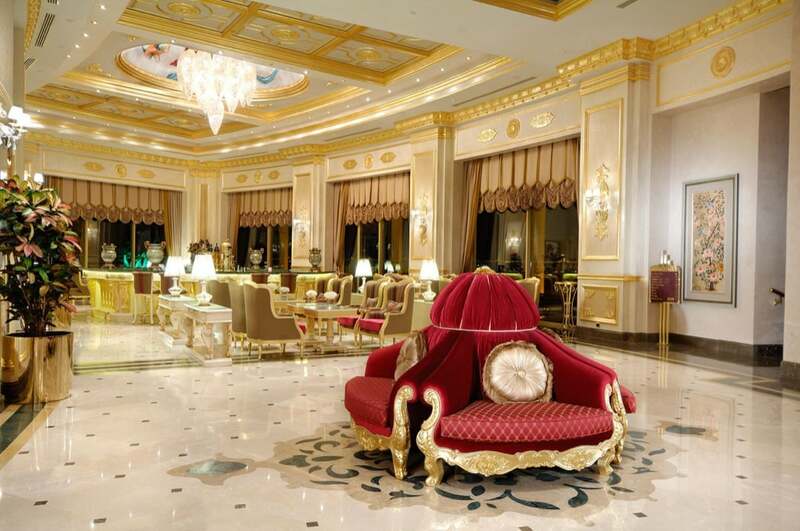 The Mandarin Oriental is one of the best luxury hotel chains in the world, and this hotel is very good. The design and layout of the hotel means that it is set around its own private bay, offering views, stylish bars, plenty of restaurants and an excellent spa. This hotel is elegant and is everything you would expect from a Mandarin Oriental, although it has a price tag to match that you may be less keen on.